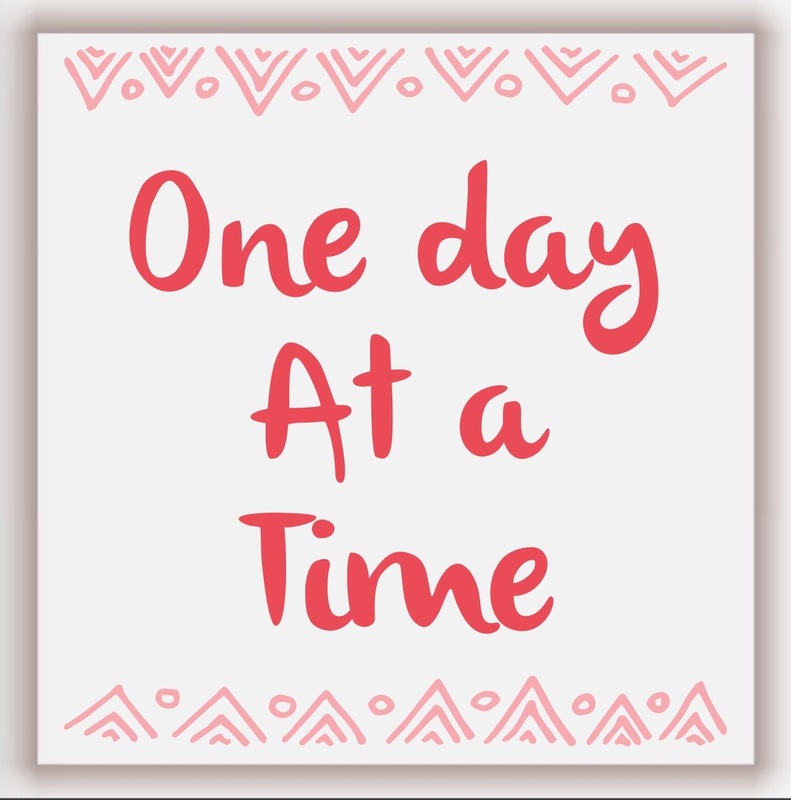 One Day at a Time – A Healthy Dose of…. This is my motto with MY lifestyle. This is how I go about motivating myself. SOME DAYS, I even have to remind myself one meal at a time. Having a balance in our lives is very important. Brett and I have been working very hard to find this for our family & it is an ongoing process. Some people may think that we do not live a healthy lifestyle because when we are out and about (parties, weddings & such) we allow ourselves to eat the food and enjoy the treats. We have learned that we only eat somethings at these gatherings if we REALLY want it. If it is just convenient & THERE we stay away from it. What most people do not see is the daily, day-to-day of our lives. With this being said, our day-to-day living is pretty boring (food wise.) We eat very healthy, clean meals in our home. This is a great time for us because we are both teachers and we get to be home together for the summer, thus making it easier to make home cooked meals very often. My motto comes to my mind when I have a bad day (food wise) or a tough week. WE ALL HAVE THEM. EVEN THE “PERFECT” HEALTHY PEOPLE (there are none) HAVE THEM. Please give yourself a break. It is what we do CONSISTENTLY that will give us the results we get. If you are consistently giving up, you will consistently not reach your goals. If you are consistently staying on the path (or getting back on the path) you WILL reach your goals. Doing this the healthy (NON extreme) way will take time and patience but it will also STAY OFF. Those “fad diets” are ways to loose weight fast, but not keep it off. Take it ONE DAY AT A TIME, my friends. We are only human. Remember your goals and consistently work towards them.